Bromo Malang Ijen Tour Package 4 days 3 nights a tour package are included in the category of long holiday. Tour participants will be completely satisfied enjoying a holiday towards Batu Malang, Mount Bromo and Kawah Ijen with his long time. Accompanied by our driver and guide that will serve you wholeheartedly and friendly service. This tour package is suitable for you who want to spend a long holiday with family or couples who may have been preoccupied by the business. Here is the itinerary of travel or tour packages unfortunate Ijen crater bromo 4 days 3 nights. The second day of Bromo Malang Ijen Tour Package starts at 2 o'clock in the morning. Tour participants prepare everything needed for a trekking tour to the crater of Ijen such as jackets and bring lunch breakfast which was prepared for breakfast in the crater of Ijen later. We bring your car travel from the hotel to the parking Gated or Paltuding which will take about 45 minutes. Of Paltuding trekking tour participants will perform with the group. 3km journey along the path taken. Trekking to the crater of Ijen will be paid after arriving at the summit crater. After enjoying the panoramic beauty of Ijen, Paltuding or back to the parking lot and headed to the car to be delivered to the hotel. Once the hotel could immediately shower and pack well as check out to continue the journey to the hotel near Mount Bromo, which will take about 5 hours drive. Once the middle of your trip will be taken kerestoran for lunch afterwards to continue the journey. Arriving at Bromo direct hotel check-in and free program. You can rest satisfied and dinner can be done at a nearby restaurant hotel. Do not forget to prepare everything needed to surf the Mount Bromo tomorrow including physical. The fourth day, breakfast at the hotel at 8 am while checking out to go to Coban Rondo Waterfall. You can enjoy the stunning natural scenery there for 3 hours. From the waterfalls, the journey continues to Pick Apples. There you can enjoy typical stone apple picking as much directly from the tree without pay, except to bring home for souvenirs. All attractions in Bromo Tour Packages, Malang and Ijen crater 4 days 3 nights we've visited. Tour program is finished, return to continue the journey back to the airport / station ticket according to the schedule that you ordered. Mount Bromo, Ijen Crater and Songa Rafting Tour Package 3 days 2 nights, vacation long enough. Attractions in this package very attractive. In general, the most visited tourist attraction is just the mountains. 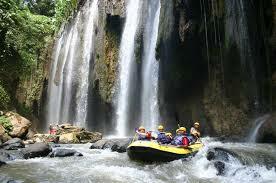 However, on this occasion will be combined with the attraction Songa Rafting / river Pekalen. Namely river rafting located in Probolinggo. To be eligible for this tour must be at least five participants in one group. No need to worry with rafting equipment, the entire facility has been prepared by a team of local rafting. Start gear paddles, life vest, helmet, boat boot, to consumption after the completion of activities. Before doing this extreme tour, all candidates will advance briefing together with an experienced guide ranging from physical to mental preparation. Travel program Bromo Ijen Rafting Tour Package 3 days 2 nights below may assist you who want to travel to three places this attraction. The first day Travel Tour Rafting Songa. 9 am from the station / airport Surabaya or Malang or from the meeting point directly to the location Arum rapids in the southern town of Probolinggo. Rafting in Probolinggo Tourism maximum of 3 hours is enough to wade the stream Pekalen including all preparation and lunch. Afternoon headed to the hotel in Ijen crater. Arriving in the area Ijen crater immediately check in and do break / free program. Dinner can be directly booked at the hotel. All arrangements including physical preparation to be prepared to climb the next day. The second day of Ascent Travel Ijen Crater. 3 am you will be escorted towards Paltuding or parking area. 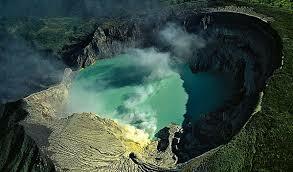 Then you will climb about 3km to see Ijen crater directly. Finished viewing the crater directly towards the parking area to be delivered back to the hotel. Bath and cleaning up to go to get to the hotel in Bromo area which will take the travel time of about 5 hours drive. middle of the road will pause for lunch. Arriving at the hotel directly check in for a break / free program and diner at a nearby restaurant. The third day did eksplore Bromo Tour. Preparation is done at 3 am traveling towards climbing 1 using a hardtop which will take about 45 minutes. Arrive at your climbing will disugukan Bromo sunrise will spoil the eye. Done in climbing directly toward Bromo crater. Hardtop will lead to a parking area near the crater of Bromo. Kemuadian you will do softtrekking or hire a horse. Ketia up in the crater of Mount Bromo, can directly enjoy the view of the crater directly. Crater already, straight into Whispering Sand Hill Savana and once completed, go to the hotel using a hardtop for breakfast and get ready to check out to go straight back to the meeting point you. Along the way, we headed to the restaurant for lunch. Bromo Ijen Rafting Tour Package 3 days 2 nights completed. 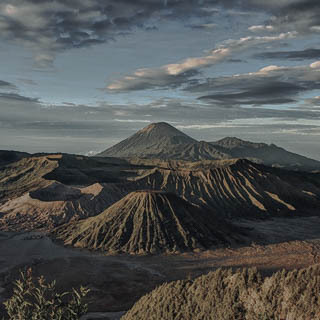 Bromo Tour Package and Ijen Crater 3 days 2 nights you can get at a bargain price. This package is to have a long time .Visit Mount Bromo and Ijen Crater. Both natural attractions of this mountain is very famous among domestic and foreign tourists. Each has a uniqueness that no other place. We recommend to those of you who want to vacation sabaiknya your big family or coworkers with many participants who could be called a party. because the tour package for 3 days 2 nights will be meaningful or have the distinct impression when done with people nearby. No need to worry about all the facilities tour that we prepare for you, because all the equipment or the need to prepare carefully our tour. All this for the sake of the convenience of you who follow the tour with us. Because why? comfort and tourist satisfaction is our virtue. A little info about the program of our trip Bromo Tour Package and Ijen Crater 3 days 2 nights this may help to planning your vacation. First day pick up of the station or airport Juanda or from the meeting point you will be done by the driver and guided by our guide to get to the hotel Bromo. duration trip will take about 3 hours. However, on our way we stopped for lunch at a restaurant that provides food ala East Java's and also do break. Then the journey continued, after arriving in the area bromo, welcome to check in hotels and tourists are welcome to do free activities. Dinner is done at a nearby restaurant Bromo. Day 2 start Bromo Ijen Tour Package 3 days 2 nights will be preceded by beauty of Bromo. Bromo tour start at 3 in the morning. travel by Jeep Hardtop go straight to the view point of the mount Penanjakan1. Arriving view point you can enjoy views of the sunrise. Done enjoyed Sunrise we go toward the crater of Bromo. Travelers will softtrekking or hire a horse taxi services. Once at the top you can see firsthand the amazing Bromo crater. After that we go toward the Mount Savana Teletubbies Park and then up to the Whispering Sands Bromo. Both attractions are in great demand by foreign tourists because kaindahannya. Tour Bromo completed, further tour to the crater. However, we headed to the hotel for breakfast as well Bromo first check out and pack up to go in the crater that will menampuh during a 6 hour drive. But amid the journey we will eat near the white sand beach while seeing the sights and rest.. The journey continued, after arriving at the hotel in Ijen crater, you are welcome to check in and free program. Dinner is done at a nearby restaurant. Day 3 Tour crater of Ijen is done at 3 am, everything needs to be prepared. Breakfast at the hotel as well check out to get to the crater of Ijen. Tourists will be escorted to Paltuding (parking area in the crater of Ijen). The trip takes about 45 minutes. Once you do softtrekking parking to the crater of Ijen with a distance of 3km. No need to worry because it will be guided by a professional guide of our travel tour. Once the Ijen crater you can enjoy the beautiful panorama of the crater of Ijen. Finish enjoy Ijen crater we returned to the parking area for the original we transfer to the airport or meeting point you. Bromo Rafting Tour Packages - Songa and Pekalen River is a river rafting in Probolinggo. Second place is very special and famous among tourists. The location is also used as a place outbound by students and nature lovers. For people who love the extreme, this attraction is suitable for a visit along closest associates to have fun with splashing water this rumor. Do not be afraid and worried, because at the existing location of the team that helps the course of rafting and prepare all the necessary equipment such as helmets, costumes, inflatable boats and others. Before doing rafting, participants will be warming up, briefing and do not forget to also pray. Bromo Rafting Package Tour lasts 2 days 1 night and tourists will play rafting after touring or hunting beauty Tourism Bromo. The first day pick-up is done at the station or airport Surabaya / Malang towards basecamp rafting in Probolinggo which will take about 3 hours drive. On the way we stopped for a break and lunch in the restaurant which prepares meals typical of East Java's, then continued the trip. Once the rafting area, tour participants will warm up and briefing with professional rafting team that will guide you through rafting. Rafting game is done within 3 hours from start to finish. Once satisfied, return to base camp to change clothes and have lunch with co-yack. Rafting is finished we go towards the Hotel Bromo. Once the hotel, tour participants are free to do activities (the streets around the hotel to see the views of the hills). Dinner is done in restaurants around the hotel in Bromo and while coffee around the hotel. Is expected to maintain the health to do the Tour Bromo tomorrow morning. All equipment is prepared to keep yourself from the cold. The second day Bromo Rafting Tour Package 2 days 1 night get ready to hunt the beauty of Bromo. Preparation is done at 3 in the morning. Continue to Mount Penanjakan1 using 4WD vehicles or hardtop that would take a half hour trip. Once the location of parking, direct tourists to the view point where meliatnya scenic sunrise will be guided by our professional guide. When finished enjoy the view of sunrise we headed to the crater of Bromo. Travelers do softtrekking or use the services of motorcycles horse then menitih rung bromo crater lip to see firsthand the crater of Mount Bromo directly. Bromo crater we headed to the Mount Savana - Teletubbies garden. Here we are the green pastures and beautiful. Finish enjoy the green scenery we headed to Whispering Sands Bromo. Sand that is not encountered in any other place except in the middle east. Once we menik die every tour we headed straight to the Hotel Bromo using hardtop. Once the hotel, tourists do breakfast and then get ready to check out of our hotel to deliver back to the airport Malang / Surabaya or the last place you visit. Bromo Tour Rafting completed.